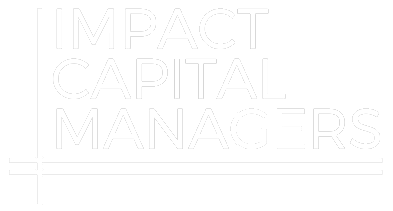 San Diego, CA (October 30, 2014) – Huntington Capital has been selected for the ImpactAssets 50 2014 (IA 50), a free, online resource for impact investors and their advisors. The IA 50, now in its fourth year, is the first publicly available database of private debt and equity impact investment fund managers. Managing Partner Tim Bubnack commented “Huntington Capital is honored to be recognized as an emerging leader in the impact investing field. Being chosen as an Impact Assets 50 2014 Fund speaks to the hard work and commitment our team brings to providing capital to underserved small businesses in the Western United States. Huntington works with portfolio companies to provide access to capital in underserved communities and companies, provide good quality jobs that pay living wages with employee benefits, encourage gender and ethnic diversity across the portfolio workforce and create gateway jobs into the workforce for residents of low to moderate income "LMI" areas. Huntington provides capital to "underserved" businesses that tend to employ a workforce that earns LMI wages, are located in LMI zones or underserved communities, and/or are owned and operated by ethnic minorities. The ImpactAssets 50 is the only free, public, searchable database of outstanding impact investing fund managers. The showcase includes a range of funds across the globe, spanning diverse issue areas and investment, with demonstrated and compelling social and environmental impact. Fund managers included in the IA 50 2014 manage a combined $15.5 billion in assets devoted to creating measurable, positive impact. The IA 50 selection committee is chaired by ImpactAssets' Chief Impact Strategist, Jed Emerson, and includes experts from The CAPROCK Group, Labrador Ventures, Toniic, UBS, and other leading impact investors. The IA 50 is not an index or investable platform and does not constitute an offering or recommend specific products. It is a not a replacement for due diligence. In order to be considered for the IA 50 2014, fund managers needed to have at least $10 million in assets under management, more than 3 years of experience as a firm with impact investing and documented social and/or environmental impact. Additional details on the selection process are here: http://www.impactassets.org/impactassets-50/review-and-criteria. Based in San Diego, CA, Huntington Capital is a leading mezzanine capital provider to lower middle market companies throughout California and the Southwestern United States. Founded in 2000, Huntington is currently operating out of its third fund, Huntington Capital Fund III, which it raised in 2014 from a group of leading institutional investors. Huntington seeks to invest in established lower middle market businesses generating between $10 million and $75 million in revenues across a broad range of industries; investments are typically structured in the form of growth capital, buyout or acquisition financing ranging between [$2.0 million and $7.0] million. The firm has invested in approximately 50 companies since its founding. For more information, please visit the company website at www.hcapllc.com.